A weekend Island Fair will give the public a firsthand chance to experience Okinawa’s reputation as a land of happiness. 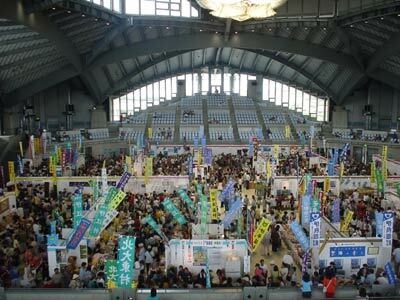 The Island Fair runs Friday through Sunday at the Okinawa Convention Center in Ginowan. The goal, says organizers, is to promote Okinawa and its people, and to accentuate the happiness the citizens generate. Okinawa industrial products, exhibitions and sales platforms will be available to the public. Included will be handicrafts, traditional arts, snacks, drinks, fishing goods, and agricultural products. Traditional Okinawa entertainment will be on stage daily from 1pm ~ 6pm. There’ll also be a special Shima Uta live concert and a movie from Star-Sands Island. An Information Forum will be in place to provide answers to visitor questions, and there are to be photo exhibitions and a handicrafts corner where guests can apply hands-on experiences. 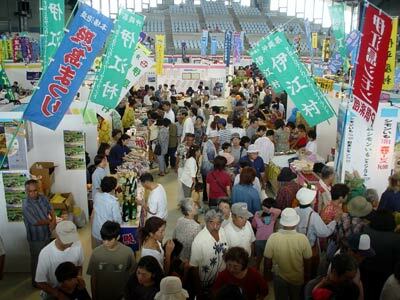 There will also be food tents and booths featuring foods drinks from all areas of Okinawa.